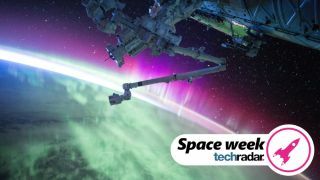 Welcome to TechRadar's first week dedicated to space exploration. 2019 is an exciting time for astronomy and space travel, with private companies pushing extraterrestrial travel to new levels, and space tourism finally becoming more than just a fantasy. The stars have never been so close, so we've decided to spend a whole week looking at the technology that's making the universe a smaller place. For seven days we'll be boldly going throughout our solar system and beyond, and showing ways you can get involved and indulge your curiosity. We'll look past Pluto and ask whether there's a Planet Nine in our solar system, explore the technology that's keeping astronauts sane on long voyages, and take a look at some audacious new ideas for space exploration. Closer to home, we'll be showing you how to take great photographs of the moon, the Milky Way and the International Space Station, and sharing our guide to the best astronomy software for surfing the stars from your desktop. Throughout the week, we'll also be keeping you up to date with all the latest news from the world of space travel and exploration. We'll be posting each day's highlights on this page, so add it to your bookmarks and strap in – it's going to be a wild ride. It's at least five times bigger than Earth and it’s way beyond Pluto – but does it exist, and what does that mean for us? Fancy volunteering for a 60-day 'artificial gravity' bed rest study? Researchers will investigate whether a daily spin in a centrifuge can undo the harmful effects of living in micro-gravity. The unmanned craft will make five flights in the Red Planet's harsh atmosphere, taking photos as it goes. The techniques you need to capture pictures full of detail. Two women were supposed to carry out repairs together on the outside of the International Space Station, but the record books will have to wait. A spacecraft must get there soon, before the icy satellite is plunged into 80 years of darkness. Take a spacewalk from your desktop, cruising through our solar system and light years beyond. Mathematicians, artists and software engineers have created a gallery of gorgeous images. The space spelunker would explore deep beneath the lunar surface. The spacecraft is due to touch down on the moon on April 11, despite a few early hiccups following launch. The Chandrayaan-2 mission, scheduled to lift off in the coming months, signals Asia’s grand space ambitions. From sunshades and x-rays to finding life on exoplanets. Devon Island is uninhabited, rocky, bitterly cold, and so similar to the Red Planet that NASA uses it for training. Check it out for yourself via Google Earth. From a world where the skies rain glass to rocky Earth-like planets that might support life. The stunning image shows a distant star nursery. Our surprising feelings for space-faring machines. The little chopper has completed test flights in simulated conditions, and its next takeoff will be on the Red Planet. The asteroid, Gault, is rotating twice per hour and spinning itself to pieces. Microsoft's free planetarium software puts the universe at your fingertips. Look out for this button. It'll take you back to this page, where you'll find links to all the week's news, features and tutorials as they're published.